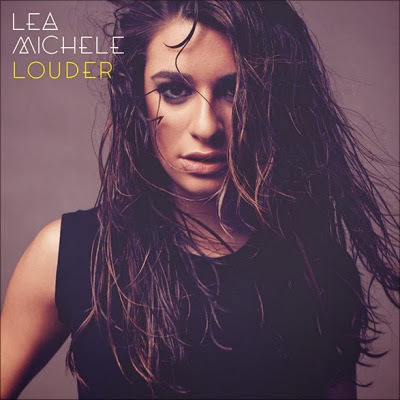 Discussions Magazine Music Blog: LEA MICHELLE/Louder: Available March 4, 2014! LEA MICHELLE/Louder: Available March 4, 2014! (New York, NY; Columbia Records; December 10, 2013) – Lea Michele, star of Fox Television’s popular series, Glee, is set to release her highly anticipated debut album LOUDER on March 4, 2014. Marking Michele’s career as a solo artist, the album is underscored by the singer’s beloved pop voice, beautiful ballads, and emotionally-driven lyrics. The album is currently available for pre-order now and includes an instant download of the moving lead single, “Cannonball,” which Michele will unveil this Thursday December 12th with a performance on The Ellen DeGeneres Show. Stream “Cannonball” HERE! Recorded over the past year, stand out tracks on LOUDER include the Sia penned lead single “Cannonball”, the pop/rock anthem “On My Way,” and “Battlefield,” a heartfelt ballad also in collaboration with Sia. Other album favorites include the edgy-pop song “Burn With You,” and the title track “Louder” which culminates this eclectic album. Standout contributors include Christina Perri, Colin Munroe and Stargate. Lea’s debut album LOUDER is available for pre-order now and includes an instant download of her debut single “Cannonball,” visit www.LeaMicheleMusic.com for more info.